I left my house at 3:15 AM and headed off to pick up three of the USA volunteers that had helped out to camp, and brought them to the airport. 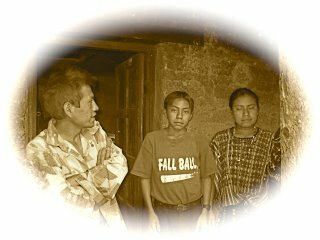 After saying goodbye to them I located Ben Squires, a nineteen year old who had flown in from Canada to spend some time in Guatemala. Ben has been on a three month motorcycle trip touring the USA. He had considered riding his motorcycle here from the USA but decided to leave hid bike in California and fly down instead. Ben and I got back to my place at around 6:00 AM and tried to get a few hours sleep. He had not gotten any all night and I had gotten very little because of a head cold that I have picked up. At 9:00 AM we were up and soon on our way to Huehuetenango. Calin and Fernando have also come along on this four day trip. Usually I try to take a few days off to relax once camp is over but not this time. The people in some of the villages north of Huehuetenango had been waiting for wheelchairs and this was the only free time that I had to get the chairs to them. We also had medicine and other supplies with us to give them and several other people along the way. Once we arrived in Xela we picked up Rolland Elf, who is helping us with some of the Families that we are sponsoring up in this area. 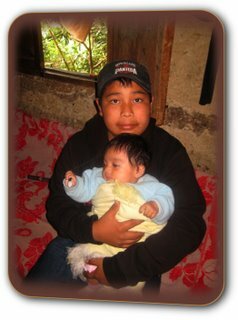 On our way to Huehuetenango we stopped of to see Erica. When she was at camp the nurses there discovered that giving her oatmeal baths before applying her medicine was giving great results in improving her skin condition. The only problem was that Erica had nothing to bathe in at her home. Now she does. After a short visit with Erica and her family we hiked over to where Christopher lives. Christopher, who also attends camp, has been having some problems whit his power wheelchair and I wanted to take a look at it. Unfortunately his wheelchair was at another home it town and it was getting late so I told him that we would try to stop by and take a look at it when we came back through on Tuesday. We reached our motel at around 6:30 PM. and quickly grabbed something to eat. After that I headed off to bed. By 1 AM I was wondering if I was going to be to sick to go out in the morning but some cold tablets helped a bit and by 8:00 we had eaten breakfast and were on our way. Where do I start? It is hard to fathom how you can be pulling out of the paring lot of a modern motel at 8:00 AM and seemingly go back in time several hundred years only an hour later. 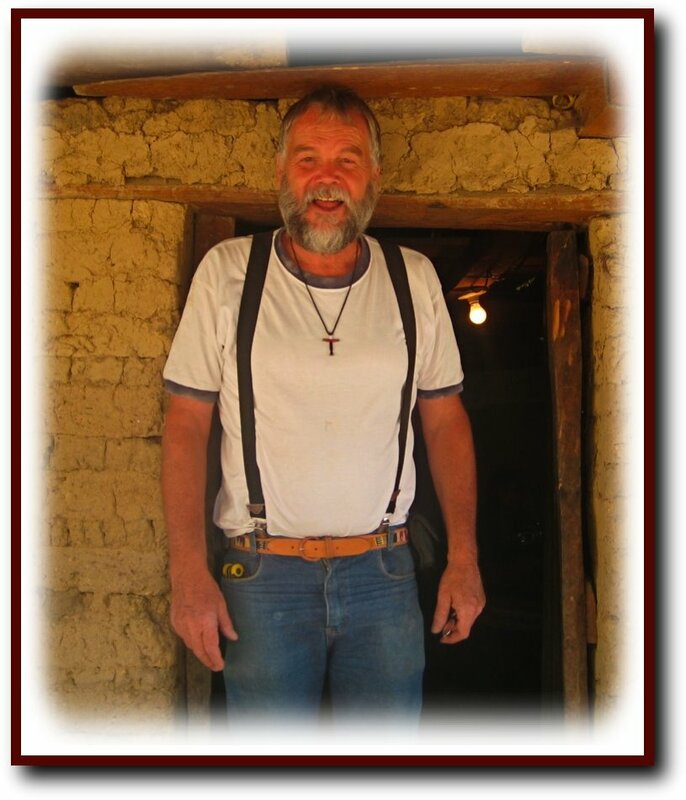 The dirt floor dwelling that we found ourselves in could scarcely be called a home. But that is exactly what it was to the young mother of 3 whose husband had deserted her. Not only did she have a little girl who was severely handicapped but also ever since the birth of her infant son, mother was having seizures. She considered herself one of the fortunate ones though because unlike several other adults and children that we visited throughout the day this lady had some one in the city that was supplying her with medicine that was keeping the seizure activity down to one or two seizures a week. 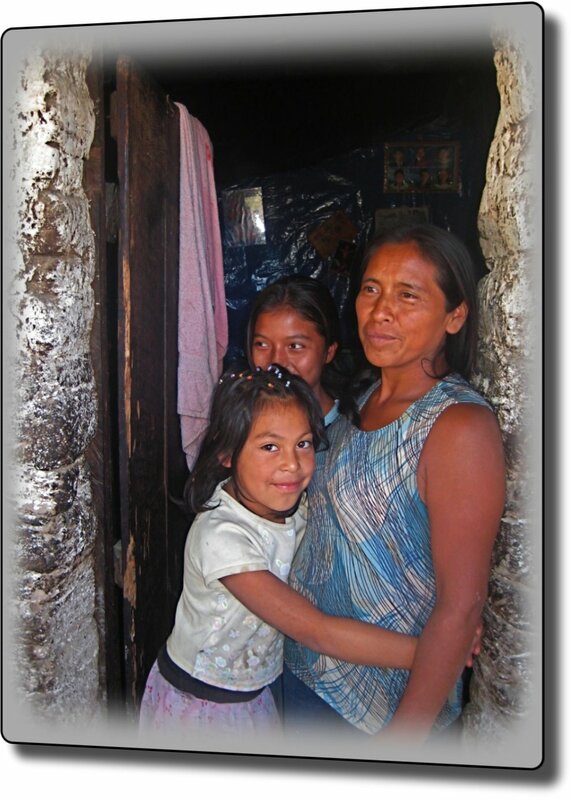 You would think that this lady would be bitter because of everything that was going on in her life but we found her and her children to be warm and friendly. We also found that she was far more concerned about our welfare then her own. 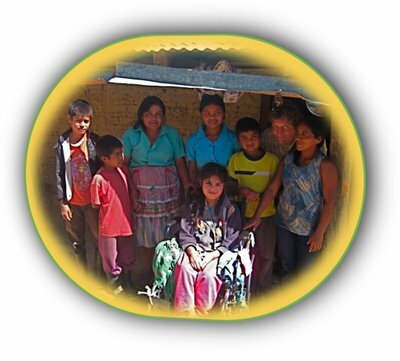 She told us that there had been a lot of robberies, beatings, shootings, and kidnappings going on in her village and that ever since she had heard that we were coming there to bring her daughter a wheelchair she had been praying for our safety. After fitting her daughter into a wheelchair, mother insisted on giving us some coffee and bread. As I sipped the coffee I could not help but wonder if this had originally been intended to be the meal of her and her children for the day. Our next stop was at the home of Rolando. 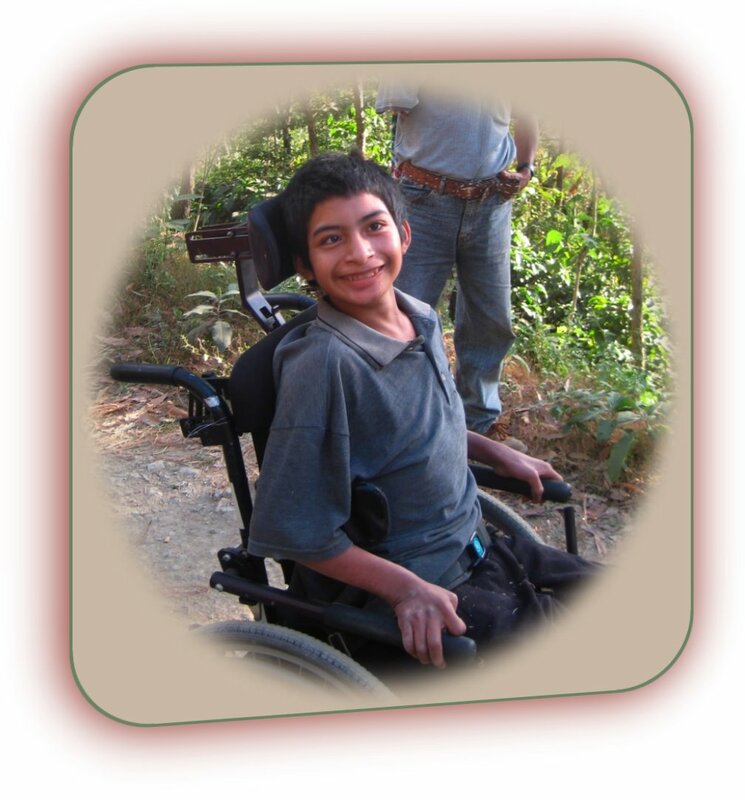 Rolando is a 19 year old young man with CP that I met a few moths ago. 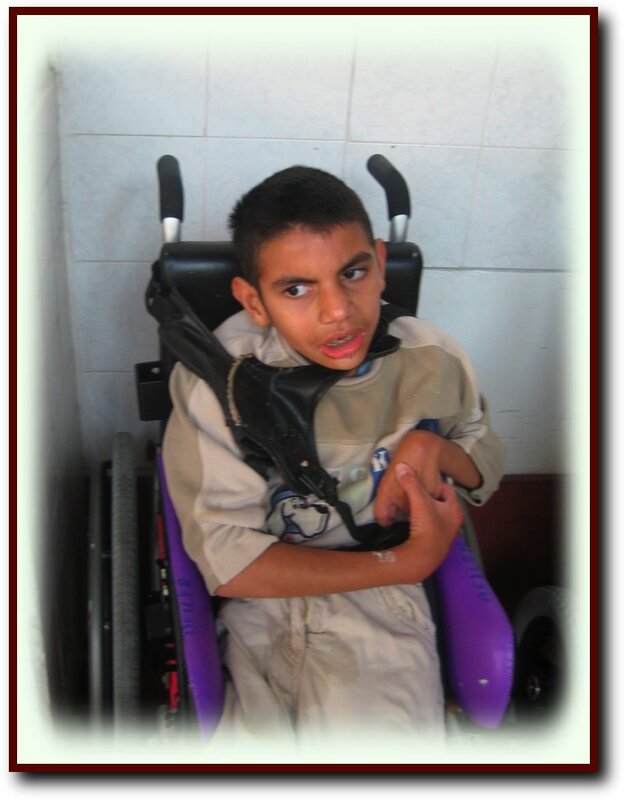 Up until today Rolando, who is unable to walk has never owned a wheelchair. Although he is exceptionally bright Rolando has never been to school either. 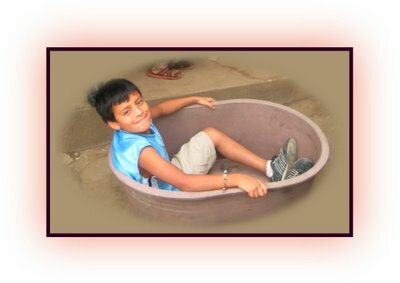 That is about to change though because thanks to a generous sponsor, starting in Januarys Rolando will have a teacher come in to his home and work with him twice a week. 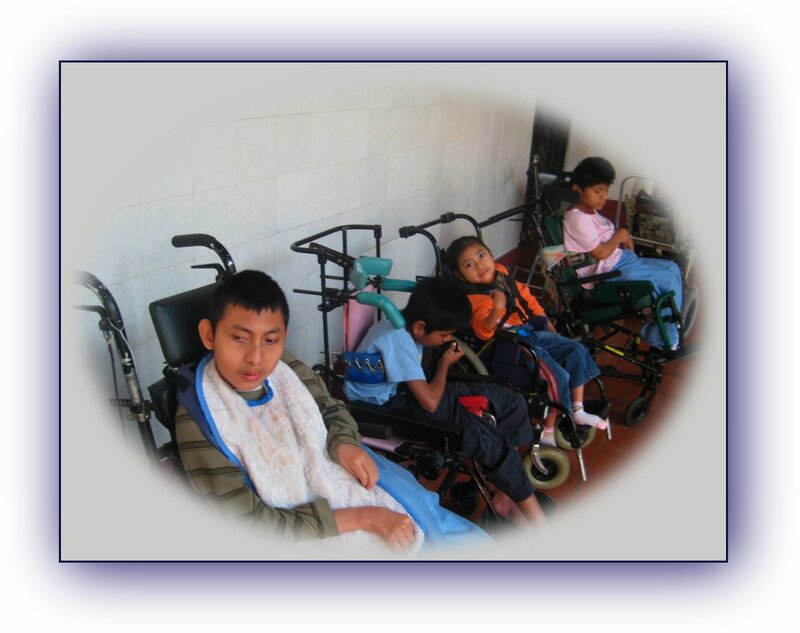 I wish that we could offer that to the other 5 kids that received wheelchairs today but perhaps some day. After fitting Rolando and 3 other children that had been carried out of the mountains to Rolando’s home into wheelchairs, we were treated to lunch. Rolando’s family told us that they and some of the otters had prepared it for us to express the love that they had for us because we were willing to help their children. I was then able to share with them that the chairs were being given to them out of the Christian love that may people from the USA, Canada, and all over the world had for them and that we were only the delivery boys. I also explained that it was because of the love of Jesus that we were there. They told me that they already know that was the reason that we had come. I looked over at Calin and Fernando who were each holding one of the children on their laps and realized that some times actions say a lot more than words. We would have liked to stay longer but the people told us that we should not be there after dark. 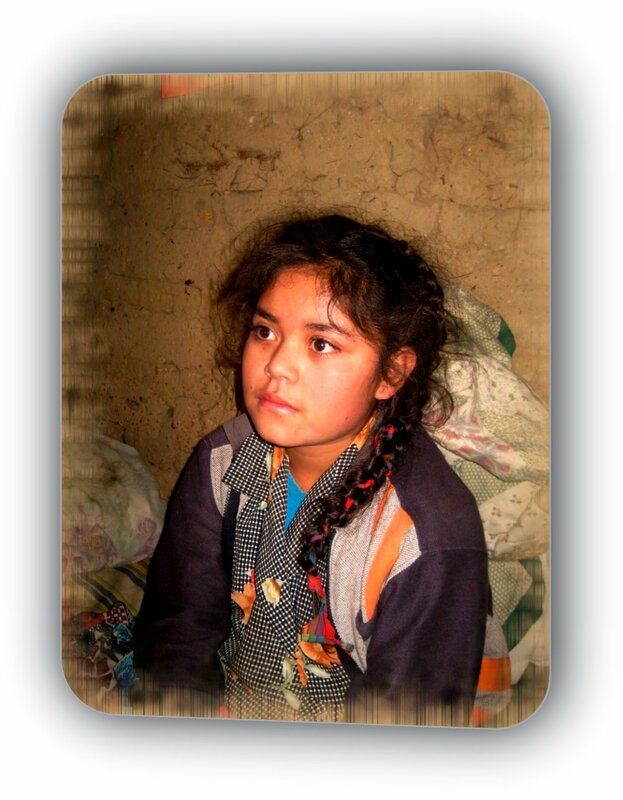 We still had one little girl to visit though so Marie Garcia who is one of our key people in the village arraigned to have the family of the little girl meet us at her house. This girl was 12 years old had never owned a wheelchair. I had not known that we were going to see here today so I had not taken anything along that was her size. 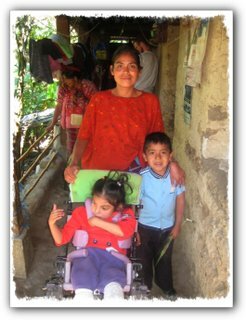 We did have one small wheelchair but it did not provide the support that this child needed because her mother told us that her daughter has one or two seizures every day. When I asked the mother what type of medicine the girl was using mom told us that the family simply did not have money for medicine. It was dark by the time we left. 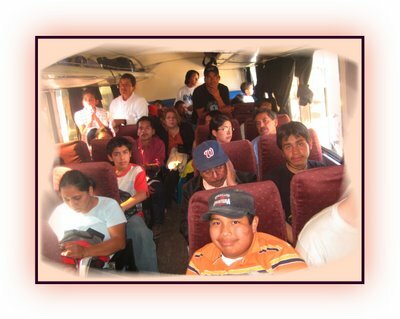 Maria and the others said that they were worried about our safety and that they would be praying for us. 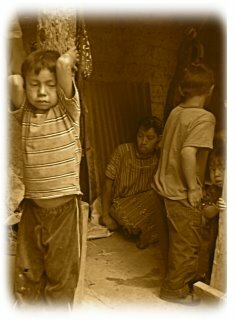 It brought tears to my eyes to think that these people live with this and so many other things on a daily level, but still there mane concern was our well being and not theirs. I could not help but wonder if we were to exchange roles, would we do the same? We are now back in the comfort and safety of our nice motel room. Oh yes, tomorrow we plan on going out into the poverty stricken villages again. We plan on being there for the day. Most of these people are there for a lifetime. This morning we met with a lady that Rolland just happened to meet on the buss a few months ago. This chance meeting ended up in a conversation where Rolland was told of a 13 year old girl who for some unknown reason lost the strength in her legs about 4 months ago. Not long after that she began having Seizures many of which lasted all night. 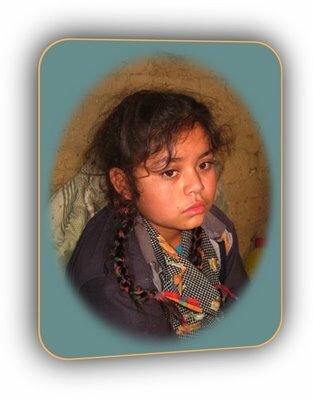 In desperation her mother took her to some one that claimed that he could cure her, only to find out that once the family ran out of money this person would no longer have anything to do with her daughter. A few other doctors were contacted but most of them would do nothing for her because the family had no money. It sounds like one of them ran a few tests but when nothing was found the girl was sent back to here sod house where she has remained in bed for the past several months. It just so happened that we had a few wheelchairs left after yesterdays mini distribution so when we had driven as far as we could up the dirt trail that led to her house Benjamin, my friend from Canada, put one of the wheelchairs on his back and we hiked in to where this girl lived. 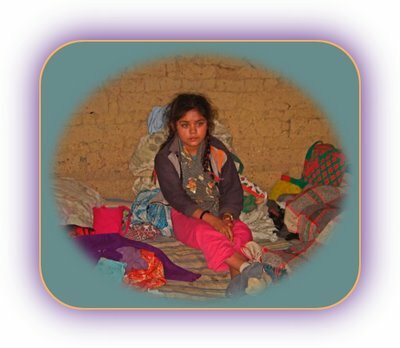 The one room house was dimly lit and it took our eyes some time to adjust before we could see this beautiful young girl lying in a bed in the corner of the room. I quickly sat down next to her partly because I was tired from walking up the steep trail that led to her house and partly to keep from hitting my head because the doorway and even the ceiling of the mud brick house could not have been over five feet high. Both she and her family were tickled to get the wheelchair that we had for her but you could tell that there was a great deal of concern as to what was wrong with her. 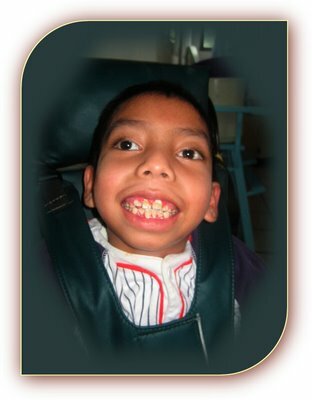 I told her family about the specialists that come in to Hermano Pedro and asked if they would like me to take some pictures and tell these doctors about her. I told them that I could give no guarantees but asked if they would be willing to have her go there if the doctors felt that they could do something for her. Mom said that they would like nothing better but that there was no way that they could do it because they had used every cent that they had on the person that claimed that he could make her better. I told her not to worry and that we would see to it that her expenses were taken care of if the doctors were willing to see her. Silly me. I get myself into a lot of trouble that way but God always seems to bale me out. We will see what happens. After talking to mom about the possibility of getting help for her daughter I walked out side and found Calin talking to one of the brothers of the girl that could not walk. He later told me that this boy had been crying and had told Carline that he did not want his sister to go to any hospital because he loved her and was afraid that she would die there. When we were about to say goodbye the family of this girl took her out side in her new wheelchair so that they could all wave goodbye until we disappeared over the hill. As we drove back down the mountain we decided to chalk the chance meeting of Roland and the lady that took us to see this girl up to being a GODINCIDENCE. The lady that took us to see this girl did not live to far out of the way so we told her that we would take her home before going up to Lionel’s home. Once again I was stunned when I discovered that this dear lady who had taken time from her day to help a friend didn’t have it all that good herself. I was told that her husband had died from a stroke, and when we got to her home we discovered that her and her four children lived in one room of a two room house that could not have measured more than ten feet by ten feet. The other room was home for her sister and her sister’s kids. 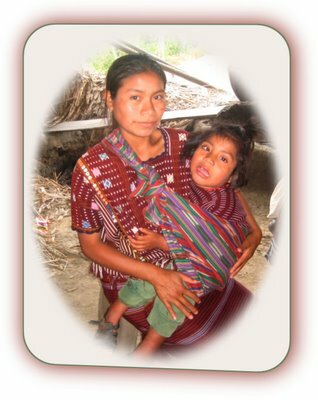 More and more I am discovering that many of the Guatemalan people that have the least are the ones that are willing to give the most. Next we headed for the home of Lionel. I had just seen his father at Hermano Pedro last Friday when he was visiting Lionel at the malnutrition ward, but wanted to visit the family when Rolland was with me so that we could get everything set up for getting Lionel’s older sister and brother into school. Even though the cost of schooling is not all that great It is more than father makes in a year. His income for the entire year last year was right at $200, hardly enough for a family of eight to live on. When we started talking about schooling Lionel’s father told us that for some reason unknown to him his 13 year old son had decided that he did not want to go to school. 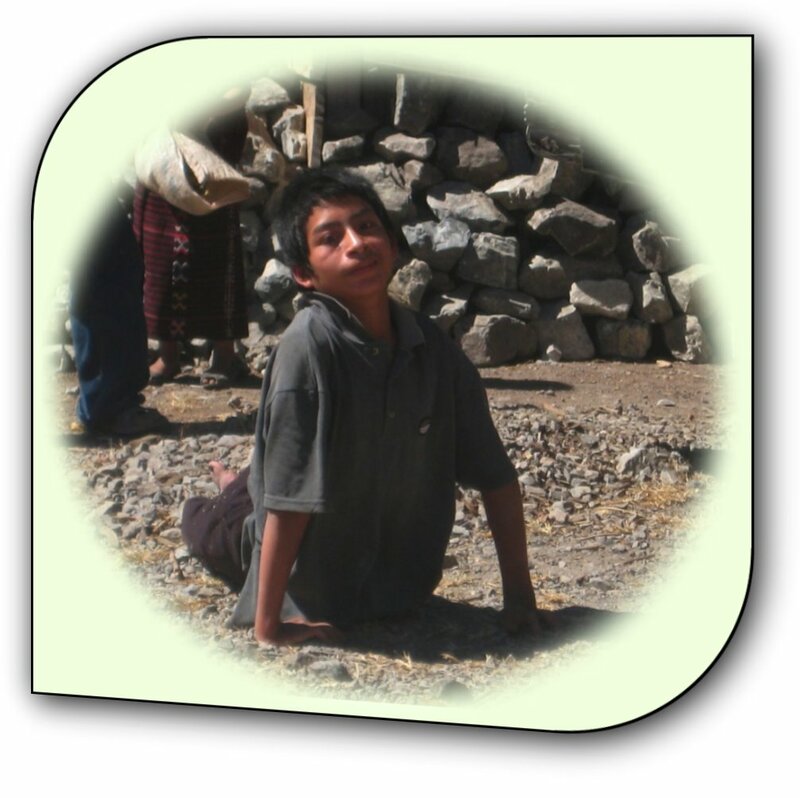 He is a rather shy boy and at first he would not say why he had changed his mind but later told us that he felt that he should stay at home and work to help support his family. He said that he really wanted to attend school but he felt that he had to try to earn what ever he could to help keep his younger brothers and sisters in school. 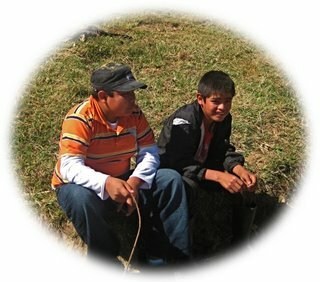 I asked him that if we would see to it that we they got the shoes and backpacks and school supplies that the other children in the family needed if he would continue his education. He said yea as his normally expressionless face suddenly took on a glimmer of hope. 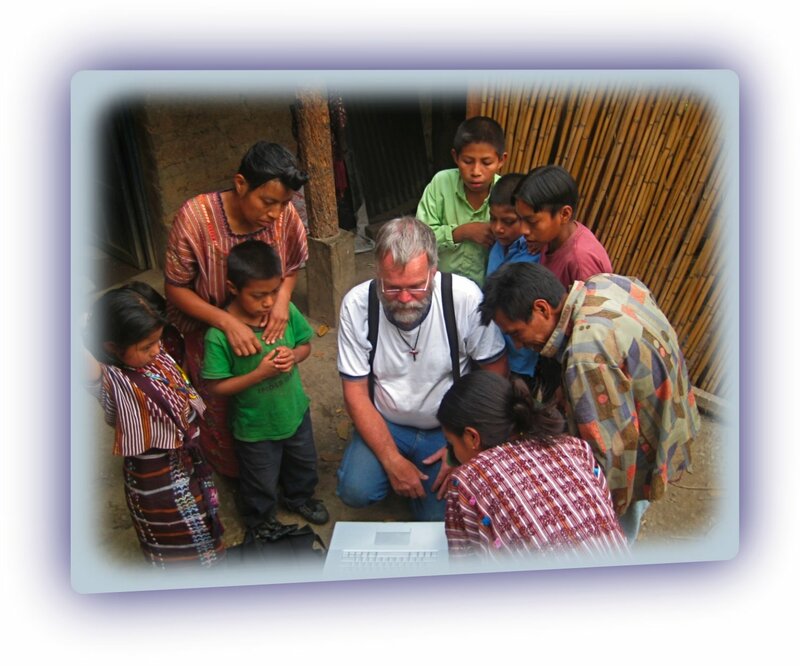 I was glad that I had taken my computer along because Lionel’s entire family crowded around it to see some recent pictures that I had taken of Lionel. We discussed Lionel’s future and with tears in his eyes Father told us that he know that he knew that Lionel would likely not survive if he were to return home and that he felt that it was best if his son remained at Hermano Pedro for at least a year or two. I know that this decision was not an easy one because Lionel’s entire family loves him dearly. But due to the fact that Lionel still is still having occasional convulsions and continues to have a lot of lung congestion I was forced to agree. I am praying though that Lionel’s health improves rapidly and that Lionel can soon be reunited to a family that dearly loves him. 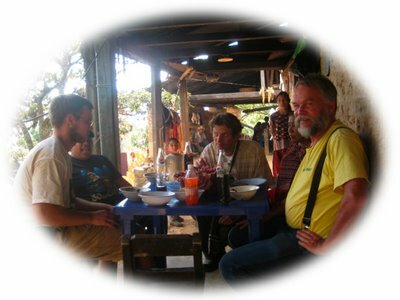 Lionel’s family told us that they would be honored if we stayed for dinner but we told them that we would have to do it another time because Roland had to catch a buss back to Xela before 5 PM. Even though this family has next to nothing and goes hungry a lot of the time I could see that they really wanted us to stay. So we promised that the next time we visited them we would join them for dinner. On our way back down the mountain I received a phone call from Marry Margaret. It appears that Alex has taken a turn for the worse. 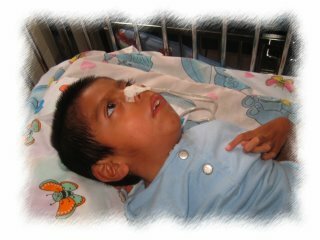 They have finally moved him from the children’s ward of Hermano Pedro to the malnutrition ward, something that I have been pleading with them to do for years. Please remember this precious little angle in your prayers. If you would like to read more about Alex you can click on Marry Margaret's blog (You Gave Me A Fire) located in the upper left hand corner of my web page. 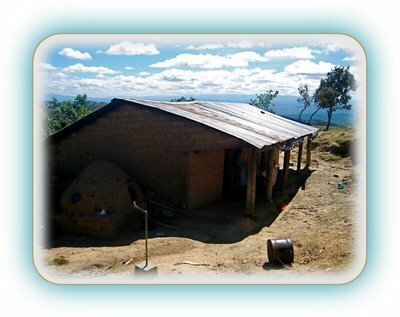 Tonight we are back in Huehuetenango. 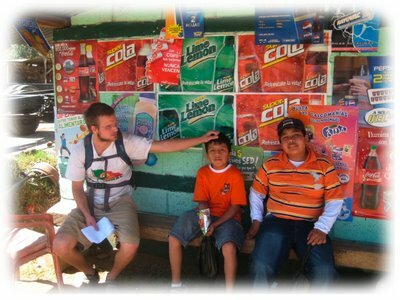 Roland has gone back to Xela and we plan on working our way back home tomorrow. It this will give me one day to relax before joining a teem from Joni and Friend for several days of wheelchair distributions. After that I plan on locking myself in my house and resting for at least a few hours before taking on anything new. Normally you would not find me writing in my journal in the middle of the afternoon, but then again you would not normally find me riding a buss from Huehuetenango to Chimaltenango in the middle of the afternoon either. 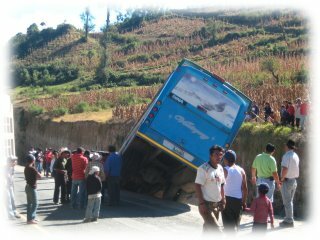 Actually we caught the buss about 20 miles out of Huehuetenango because that is where I burned up the motor of the Kea van. The temperature gauge indicated that everything was OK but the smoke and steam pouring out of the van indicated otherwise. After letting things cool down a little bit we managed to limp in to a small aldea that had a store where we parked the van. The lady that ran the store was very friendly and told us that we could leave the van there until Elie, our ever busy mechanic, could make the 5 hour drive down to tow bar it home. The buss that we managed to flag down after about an hour is much nicer than the average chicken buss. We actually have room to put our knees in front of us unlike the tight seats of the chicken busses where anyone that is over five feet tall has to stick them out into the hall. So far it is not at all crowded either so everyone is able to ride on the inside of the buss. I will perhaps do a bit of writing later but our driver just managed to pass the slow truck that was in front of us so it is once again hang on time. It is now 4:28 PM and we are still on the buss. We had almost caught an earlier buss that went by about 10 minutes before this one but I happened to be on the cell phone telling Chris about the van at the time that it went by so the guys did not flag it down. I guess you could call that another GODINCIDENCE because about an hour later we saw that same buss lying half way on its side nose to nose with a flipped over truck that it had collided with. Whatever kept the buss from flipping over all of the way or any of the passengers from being severely hurt has to be more than a GODINCIDENCE it was a down right MIRACLE. About an hour and a half later they had enough of the accident cleared up that we were once again on our way. Now our once nearly empty buss is fully loaded with passengers. 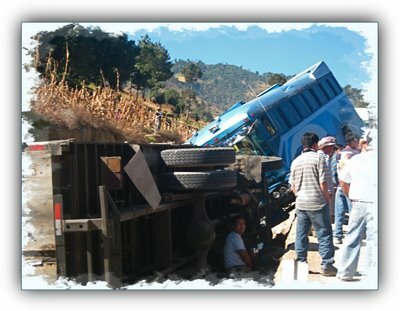 Everyone that was on the wrecked buss simply unloaded their belongings and got onto ours. A few miles further down the road a boy and his grandfather got on our buss. Even though the old man was blind no one offered him their seat until he reached where we were sitting. When he got to where we were Calin quickly got out of his seat and gave it to the old man. Fernando climbed onto my lap and told the boy to sit down next to us. It did not take my boys too long to strike up a conversation. Calin noticed that the shoes that the boy was wearing were totally worn out so he asked me if it would be OK if he gave the boy his shoes. I said yes but we found that Calin’s shoes were much to big for him so at the drop of a hat Fernando had both of his shoes off and he handed them to the boy. They fit him perfectly and so did the new smile that was on his face. 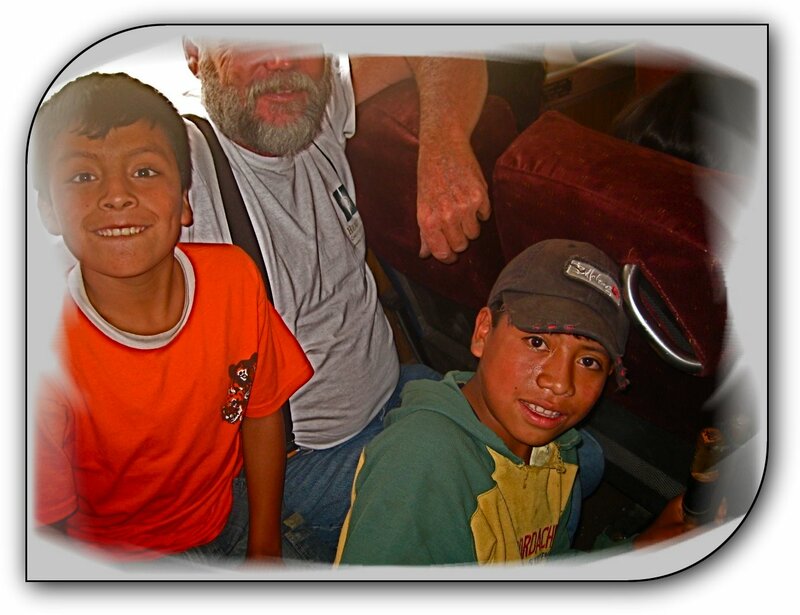 He and his grandfather only stayed on the buss for about a half hour but by the time they left we were all friends. When we got home this evening I am going to make sure that Fernando gets a new pare of shoes. Quite a few of the kids showed up at my house when I got home tonight. The first thing that I was asked was when I had to leave again. It was difficult for me to tell them that I would be Heading to the airport at 5:00 AM to pick up a group a group that was coming in and that we would be busy building houses and doing wheelchair distributions for the next several days. Don’t get me wrong. I love seeing these groups come in and love being going out and visiting the villages but I also wish that I had more time to just hang out with my kids. So many of them consider my place home because of situations in the places that they come form and it is hard for them when I am gone so much of the time. I am thankful though that I can often take one or two of them along with me when I am on the road. I better quit for now because Calin is once again standing in the isle of the buss and he wants to visit with me. I asked him why he was no longer sitting in the seat behind me and he told me that he gave his seat to some one that just got on the buss. I headed out for the airport at 5:00 AM while Benjamin and two of the boys that stayed over last night stayed at the house. Benjamin is great with the kids. After looking in my refrigerator, he promised these 2 and a few others that he would take them out to Camperos for breakfast this morning. I do plan on restocking my refrigerator as soon as I find the time but right now it could just as well be unplugged. Chris and I picked up the first half of a large group that is coming here with Joni and Friends, to ut up some houses. The rest of the their teem is planning on coming in later tonight. 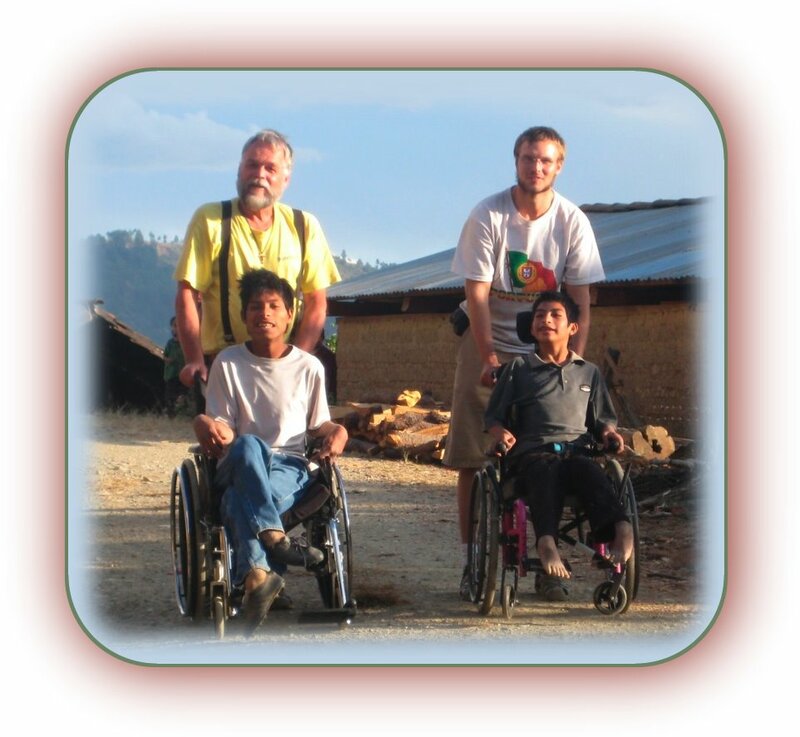 These will be the people that will help out with the three wheelchair distributions that are planned for this week. 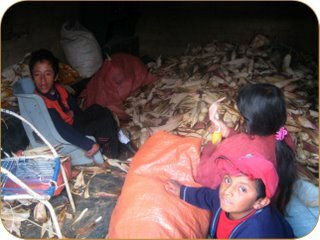 It is going to be a busy one but it should be a real blessing for the some needy people here in Guatemala. I managed to get back home for a little while after helping get the construction teem out to where the houses are going to be built. I am staying out of this one because I will be busy enough once the wheelchair distribution starts. 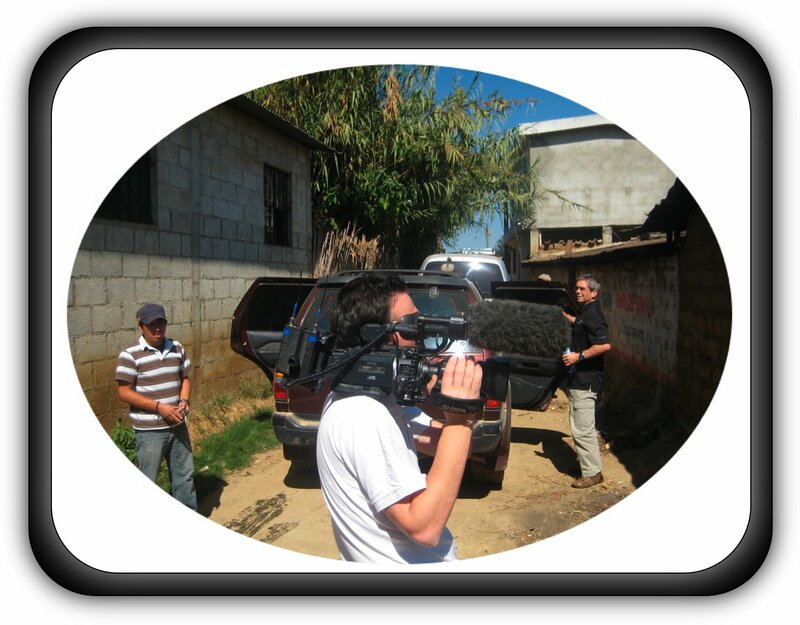 Besides that a film crew has come along to where the houses are being built and I hate being on TV. (I hate scaring people). A managed to get home for about an hour and spent some time just horsing around with the kids. Benjamin has been having a lot of fun with them as well. They were quite disappointed when we told them that Benjamin was going ot Antigua and that I would be spending the night in the City. Abner broke my hart when he asked me if I was planning to move out of the neighborhood. I assured him that I was not moving and that I was going to have more free time starting next week. I even promised the kids that we would put up the Christmas tree on Wednesday. When we got to Antigua we went straight to the orphanage. 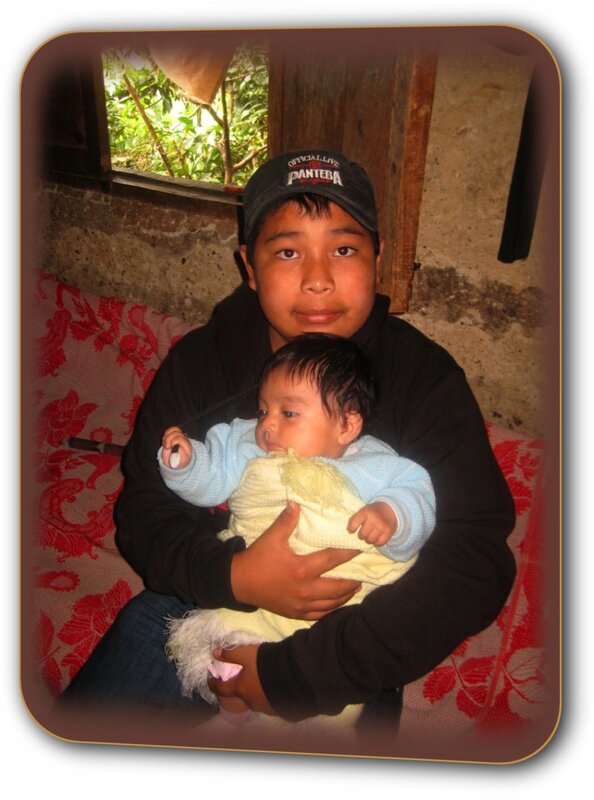 Miguel, one of my older boys, had come along with Benjamin and myself It seems so different having so many of the kids at home for the Christmas holidays but most of those that were there have no family to go home to so they need lots of attention. We spend most of our time just holding them and visiting with them. I even managed to get Benjamin into the malnutrition ward for a little while. He had a hard time holding back the tears when I put Alex in his arms. Alex has improved a bit in the last few days and once again manages to give you that smile of his when you say his name, but he is still very week. Before putting him back into his crib I weighted him. He has gained back 2 pounds but 20 pounds is not much for a nine year old. Ten year old Lionel was nothing but smiles. He still weighted in at only 25 pounds but seems to be doing quite well and has had no seizures for nearly a week now. I had to drive some people back to the city and am spending the night here. After a meeting in the morning I will be taking some one that arrives at the airport later tonight back with me to Chimaltenango. 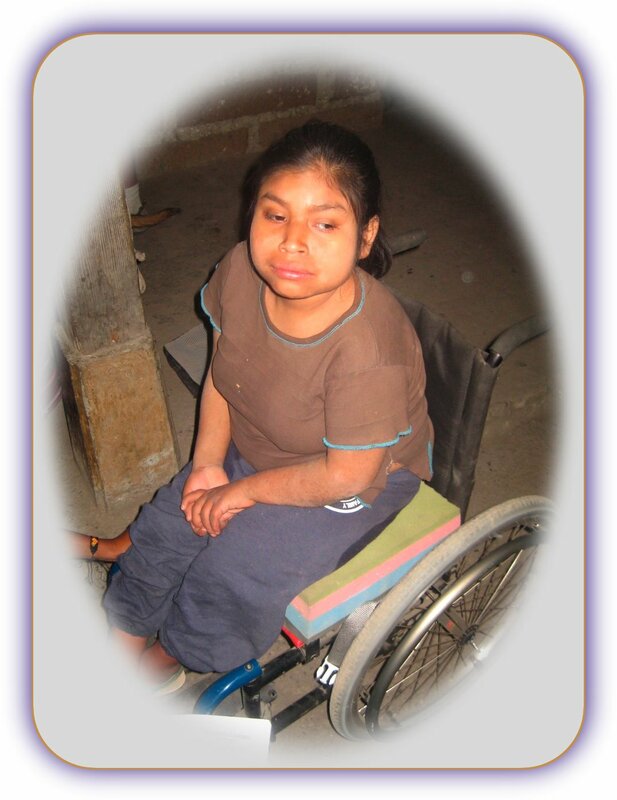 Friday morning we will be having the first of three consecutive days of wheelchair distributions here in Guatemala City. Wow! Once again I am finding the time to write in my journal in the middle of the day. No broken down cars this time, only a flight that was canceled last night due to snow in Texas. The rest of the team is out looking at the sites where we plan on doing the wheelchair distributions during the next several days, while I remain behind at the hotel to pick up the four stragglers when they come in to the airport. This is actually giving me some time to myself so that I can work on my journal. I know that it is not the end of the week yet but I may send it out today if I have the time. I am finally back from the airport. After hanging around there for over 2 hours I figured that the four people that were suppose to arrive had done 1 of three things. #2 Taken the wrong flight. #3 Fallen off from the airplane somewhere along the way. Not only did I loose four people today but I am afraid that I also lost my passport. I may have left it at home but I don’t think so. I guess that I won’t worry about it until this distribution is over with. I was going to get this sent out while I was waiting for the teem to return but the internet in all of the hotel rooms has gone out. I think that we are going to have a wonderful wheelchair distribution because opposition seems to really be fighting this one. Our team Caption has never lost a battle though so we are confident that this distribution is going to be a good one. James 1:2&3 Consider it pure joy, my brothers, whenever you face trials of many kinds, because you know that the testing of your faith develops perseverance.